Food done and dusted and all I need is the correct sized boxes so that the resupply is ready for Gill to post at the appropriate times. 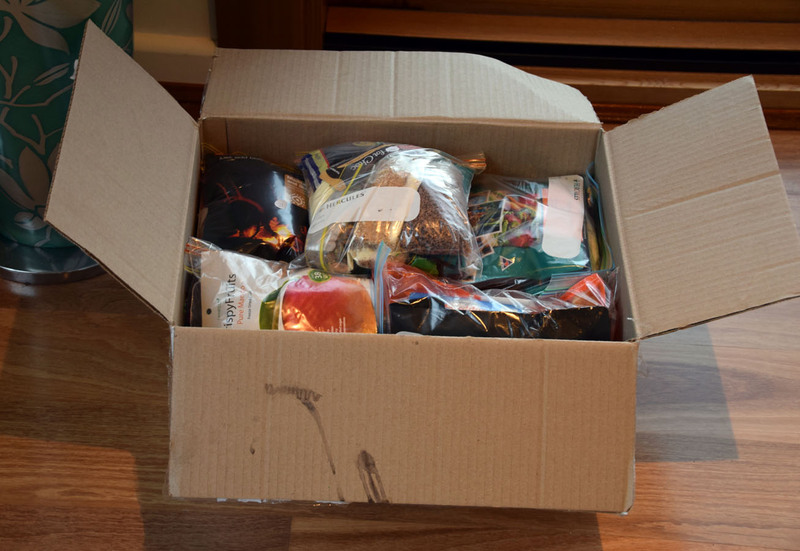 I will pick these resupply packages up along the trail as I go from either the post office or from my accomodation. Last week I met with nutritionist Lisa Donaldson who we interviewed in podcast episode 057 on Nutrition to have a look over my food to identify an nutritional shortcomings that I needed to rectify. In my post a few days ago I identified that I had a vitamin D deficiency. When Lisa analysed my food she indicated that it was also lacking in micronutrients so has suggested that I take a vitamin supplement on my hike which just goes to show that seeking professional advice on a big trip like this has been well worth it. I always find one of the most time consuming tasks before an extended hike is the food packing. In all I(we) spent around 7 hours packing, double checking, and removing items to end up with 27.2kg of food for 33 days of hiking which works out to 824 grams of food/day. This doesn’t include the four planned rest days. I will adjust the resupply boxes based on my usage and have gill add or subtract items before sending.